Crimp on Jack for Category-5 Cable SOLID version. Also Works on Cat-5e Cat-6 Etc. These are Triple Plunge with 50 Micron Gold Plated Contacts. NOT THE CHEAP Single Plunge 3 Micro Product. 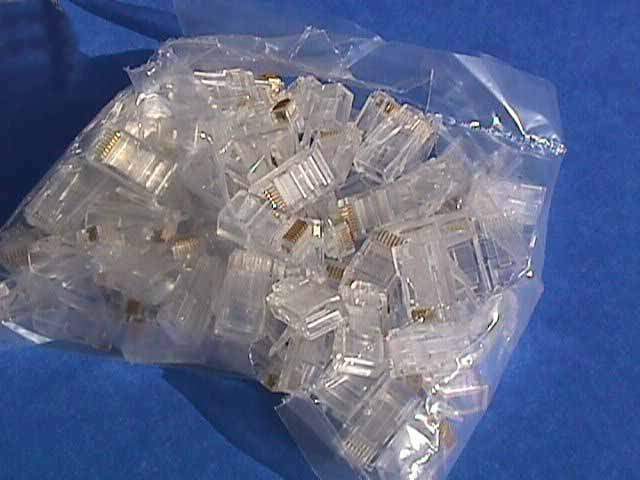 Comparible Products Cost Approx $1.50 Per Connector for 100 Connectors.